Long Lake Elementary hosted the 2018 Grand Traverse County Spelling Bee on Thursday night. 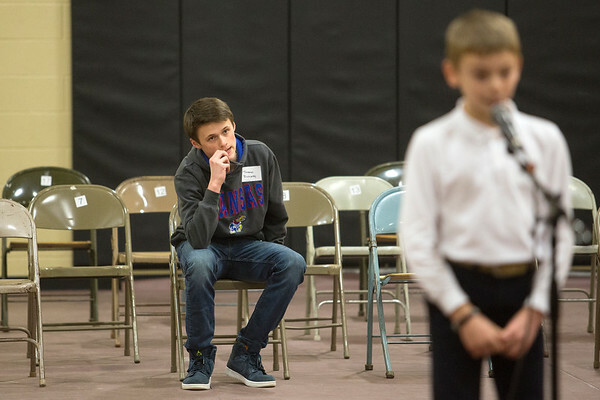 Thomas Richards waits for Robby Myler to finish spelling a word during the 2018 Grand Traverse County Spelling Bee at Long Lake Elementary on Thursday night. Richards placed second and Myler won the bee.